Mr. Luca Sanfilippo is EVP and General Counsel at Sky Italia since 2003 and manages a group of over 30 internal lawyers and paralegals. Mr. Sanfilippo is Chairman of the Board of Directors of Sky Italian Holdings SpA and seats as Director in the board of the subsidiary Vision Distribution. He is also member of the Supervisory Body of Sky Italia. From 1998-2003 he worked at Tele+ as Director of Legal and Regulatory Affairs; from 1991-1997 he worked as in-house lawyer in the Legal Department of IBM in Milan, Rome and Paris. Previously he served as official at the European Commission in Brussels. Mr. Sanfilippo attended the University "La Sapienza" in Rome earning a degree in Law; he also holds a Master of Business Administration at Bocconi University and IFOR in Milan as well as a Master of European Law and Politics at the European College of Parma. Author of several publications in Italian and International law journals, mainly in antitrust and EU law, he is contract professor at Bocconi University of Milan (Dept. of Information and Communication Law and LL.M. in Law of Internet Technology). 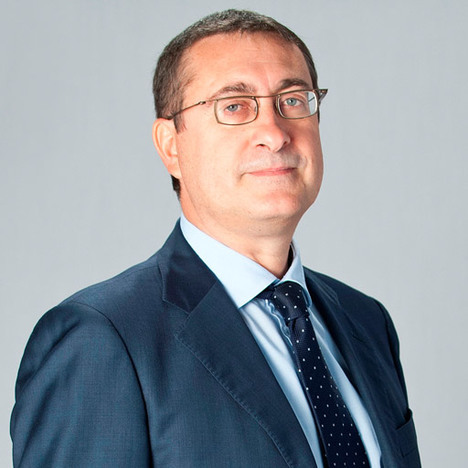 Mr. Sanfilippo is member of the Board of Directors of Auditel, chairman of the Commission on Competition of the International Chamber of Commerce (ICC) in Rome, member of the Steering Committee of the Italian Institute of Advertising Regulation (IAP).